The Department of Energy and Climate Change today published an independent study on projected costs and deployment potential for different renewable electricity technologies up to 2030. The aim of the study - undertaken by Arup - is to provide baseline data to inform a consultation this summer on support levels for a range of renewable electricity technologies for the period 2013-17 under the Renewables Obligation. The study is an independent assessment of scope and potential of technologies, and not a statement of government policy. “It is vital that our support for renewable electricity both encourages investment and represents value for money for consumers. 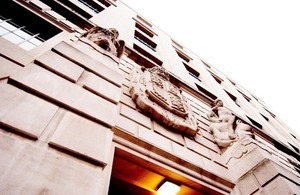 DECC commissioned Arup in October 2010 to review the market costs and the potential of eligible renewable electricity technologies to provide the economic and technical evidence to underpin the revision of the RO bands.